"Welcome To Britannia. Together We Stand Alone." Here's another compelling, thought-provoking, unique short film worth your time to watch. Transmission is a short film made by Britsol, UK-based filmmakers Varun Raman & Tom Hancock, shot on Kodak 35mm film stock. It premiered at Fantasia last year and has played at 90 other festivals including BIFFF, L'Etrange, and Rhode Island Flickers, receiving 12 awards. The film is about an alternate Britain that uses quite a peculiar interrogation method to get information out of a political prisoner. Starring James Hyland, Kelby Keenan, and Michael Shon. The filmmakers on why they shot on film: "Its grain and response to light and colour creates a dream-like quality that has yet to be rivaled by digital. And the filmmaking process is engendered with an ultimate dedication to preparation." Thanks to Varun & Tom for the tip. Embedded from Vimeo. Shot in the UK on Fuji and Kodak 35mm film stock. Transmission is both written & directed by UK-based filmmakers Varun Raman & Tom Hancock - see more of their work on Vimeo as the production group "Parallel Madness". 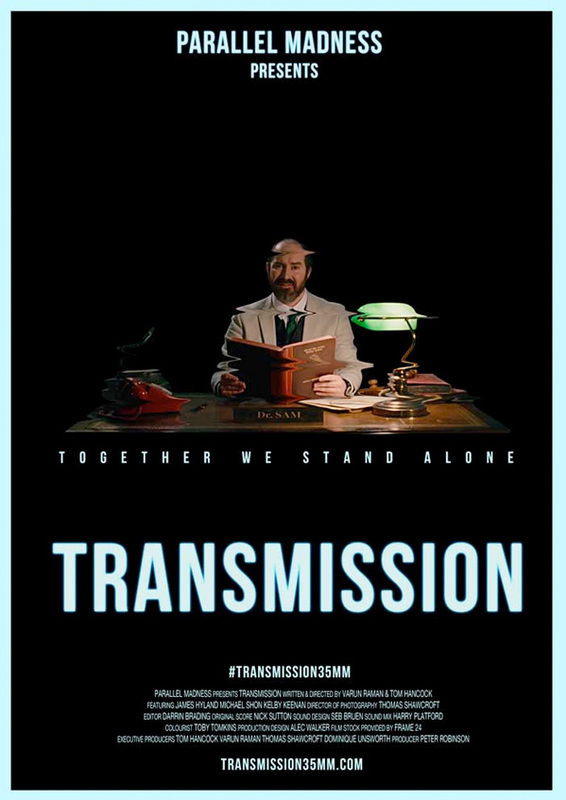 They explain the origins here: "Transmission was written during the height of the refugee crisis as a warning against the anticipated rise in British nationalism, which had been catalyzed by financial austerity & growing hysteria surrounding terrorism. We suspected people would sacrifice their freedoms on the basis of rousing narratives rather than facts. It’s easier to blame sections of society than to hold the elite accountable." The film has been playing at festivals for the last year. For more details, visit their official website. For more shorts, click here. Thoughts?